After being officially launched in the UK in May, Google continues to focus heavily on its new Android Pay application, its payment method developed around the built-in NFC chip on current smartphones to make payments without cards or cash. Thus, it has reached the next promotion, through a campaign in collaboration with Starbucks coffee shops, and now, in fact, all users who will be near one of the many cafes available, may, by buying a Frappuccino using Android Pay as payment, then they will have another Frappuccino free. 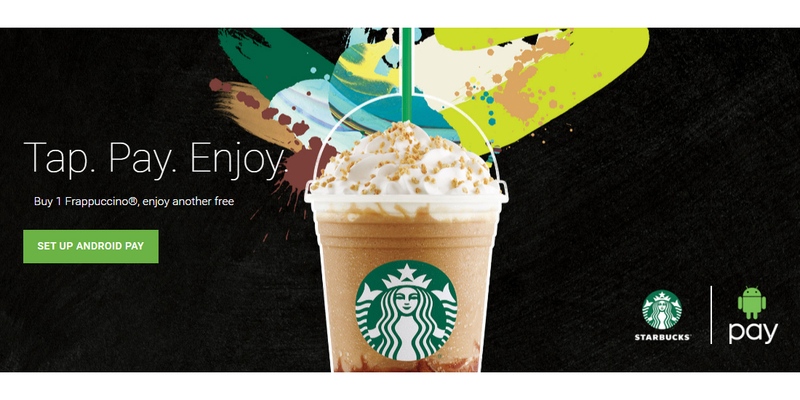 The offer is valid from June 21, 2016, and anyone who wants to take advantage of the offer, must reside or be in the UK and visit a Starbucks, whose only limitation when drinking a free coffee is "once by customer" and the offer can not be combined with other existing ones. Android Pay is compatible with all devices equipped with NFC chip and the Android 4.4 KitKat or higher operating system. If you are interested in this offer, we show you the corresponding image of that below.